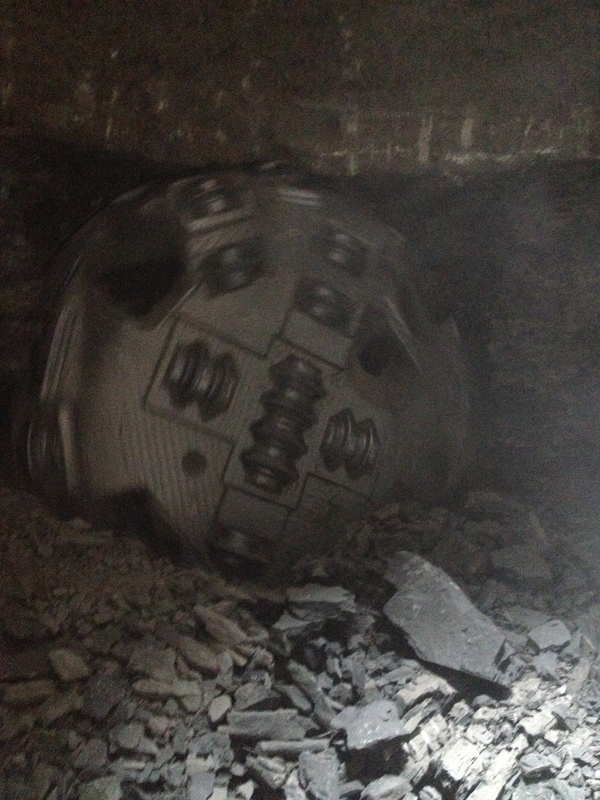 Construction of 3,890m of tunnel in Downtown Toronto. The drive was in Georgian Shale and mixed face conditions (soil rock interface). 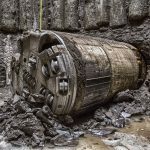 Excavated diameters were 2.5m and 3.0m and completed with a shielded and main beam TBM respectfully. Average daily mining production rates of 12m or more were achieved. 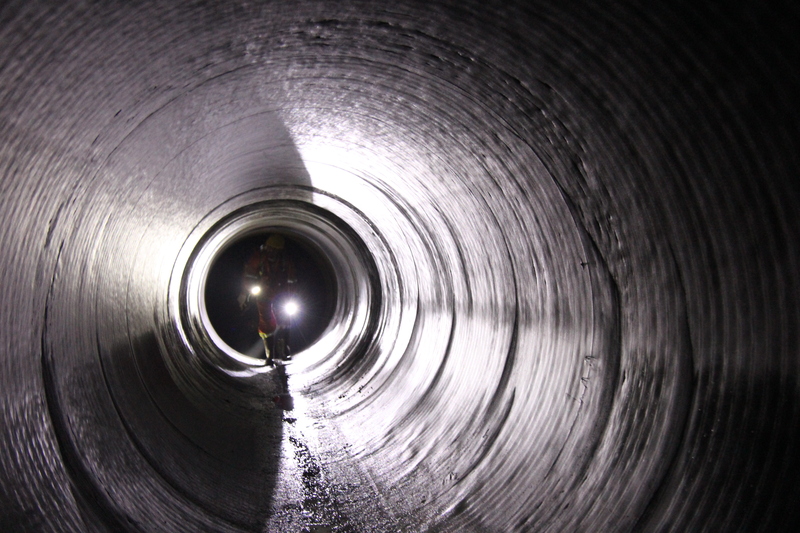 The installed watermain is 1650mm steel pipe and is grout encased and cement mortar lined in situ. Multiple crews and contractors were utilized throughout construction. 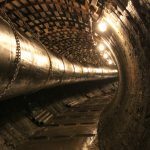 75% of the job completed with own forces, the remainder was with various subcontractors. Construction started in January 2012 and was completed in January 2016. The job was located in Downtown Toronto. Generally, working sites were kept to small portions of parks or public roadways where two way vehicle traffic was maintained at all times. In one location a small residential street was dead ended. 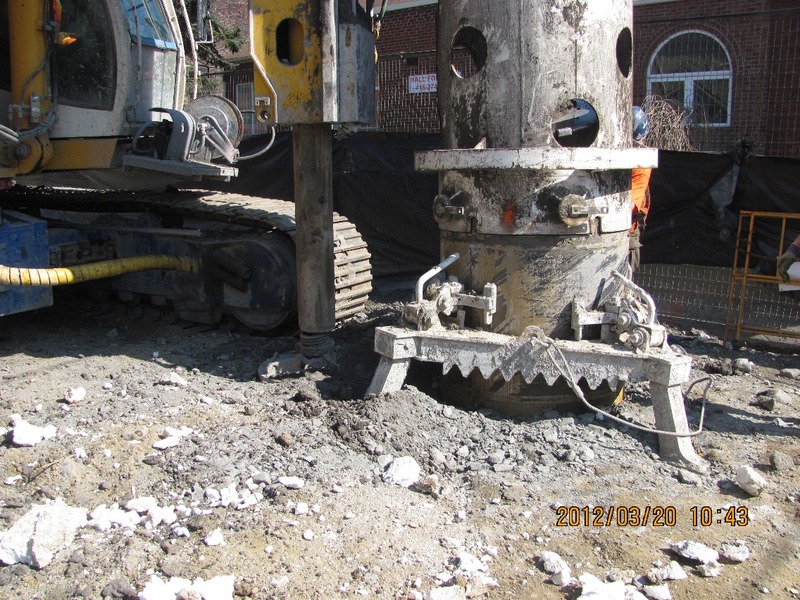 The job had 10 water tight shafts, 6 excavated and 4 caisson drilled. 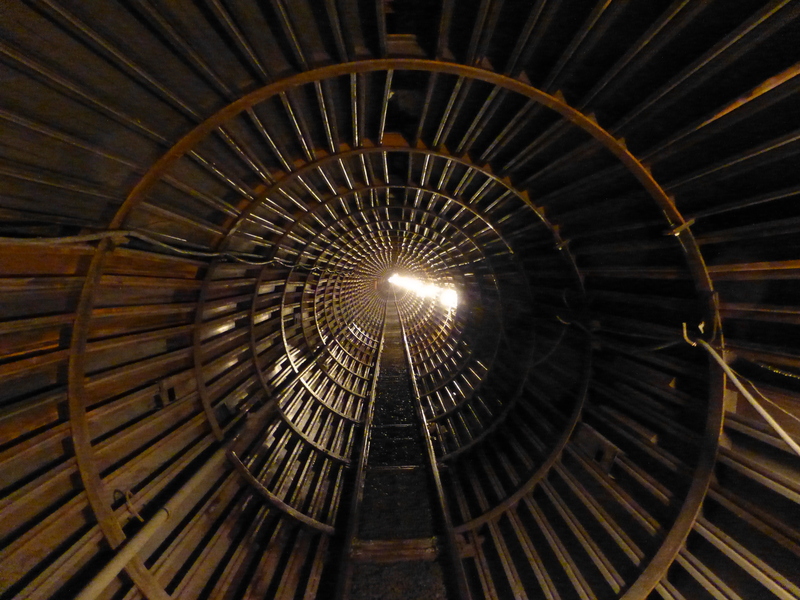 Shaft Diameters ranged from 4m to an ellipse with interior dimensions of 13.87 x 8.357m. 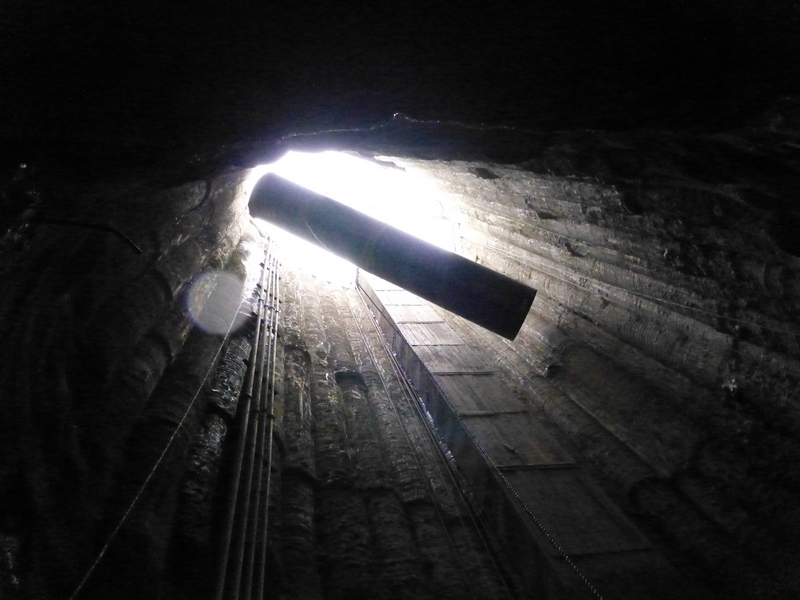 Shaft depths ranged from 18 to 28.5m (up to 15m of Shale excavation).